Because I put so much trust in the GAF family of products, I would like to take a little time to introduce you to some of their “designer shingles” . Their beauty comes from artisan-crafted shapes combined with dimensional designs. Their specially formulated colors accentuate the shingles natural appeal. They are available at a fraction of the cost of traditional slate or wooden shakes. These shingles are not only attractive, they are also built to last. While minimizing the use of natural materials, they have superior protection using GAF’s Advanced Protection Shingle Technology. Their Algae resistant StainGuard Protection prevents stains from diminishing the appearance of the roof. DuraGrip Adhesive seals each shingle tightly, reducing the risk of blow off. They also have a Class A fire rating from Underwriters Laboratories. Plus, their warranties exceed industry standards and are transferrable! Not only are GAF shingles outstanding in quality, durability, and appearance, they are also available in a variety of styles and colors that can complement almost any style of home. If you are looking for the look of wood-shake, European hand-cut shingles, or slate, GAF has a products that are pleasing to the eye with uncompromised performance! 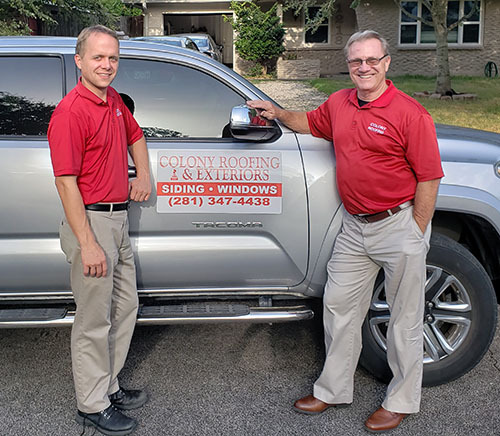 Our aim at Colony Roofing and Exteriors is to always make sure you are 100% satisfied with your roof. 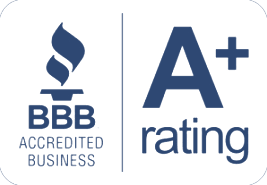 We have an A+ rating with the Better Business Bureau and have been awarded the Angie’s List Super Service Award multiple times. Contact us and let us make you another satisfied customer!